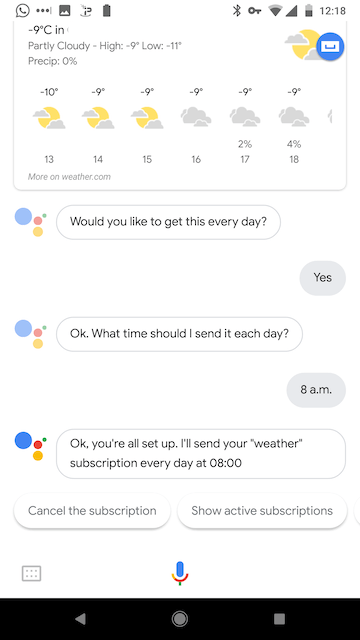 Google Assisstant for Android and iOS now allows you to setup subscriptions which is a feature from Google's Allo messaging app. 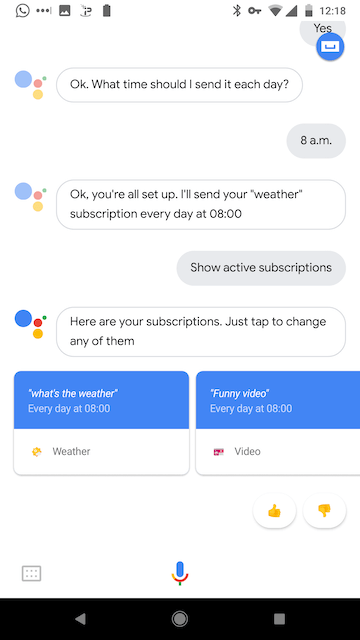 These subscriptions are a recurring alert for things that you may want to know on a daily basis such as: weather forecast; fun facts; funny videos; poems; quotes. As you can see from the list above it is very limited at the moment and hopefully they will be working to expand this - I am sure they will. Your daily commute showing the best route is one idea that immediately springs to mind. 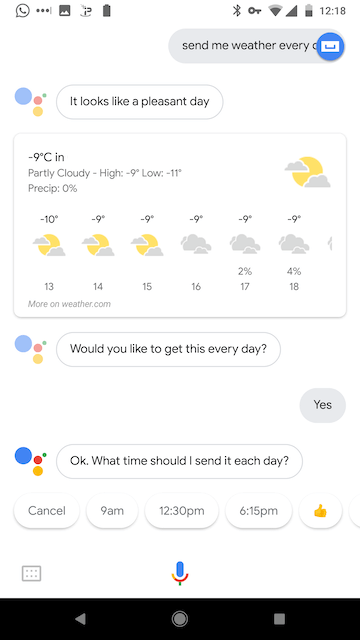 When you receive your reply you can now press Yes when asked if you would like to "get this every day"
If you click on Show active subscriptions you will be able to view and edit/cancel any you have already setup. Overall this is pretty limited with only the daily weather forecast being of much help. 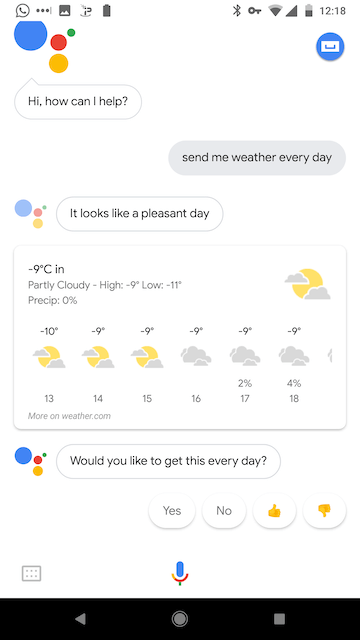 But as Google are investing so much time in Assistant I am sure there is more is to come from this feature.